The plan offers a complete package of international benefits available 24 hours a day to individuals, families, and groups of five or more travelers. The plan provides a wide range of plan maximum limits and deductible options, and it is available for a minimum of 5 days up to a maximum of two years, in accordance with the terms of the Certificate of Insurance. 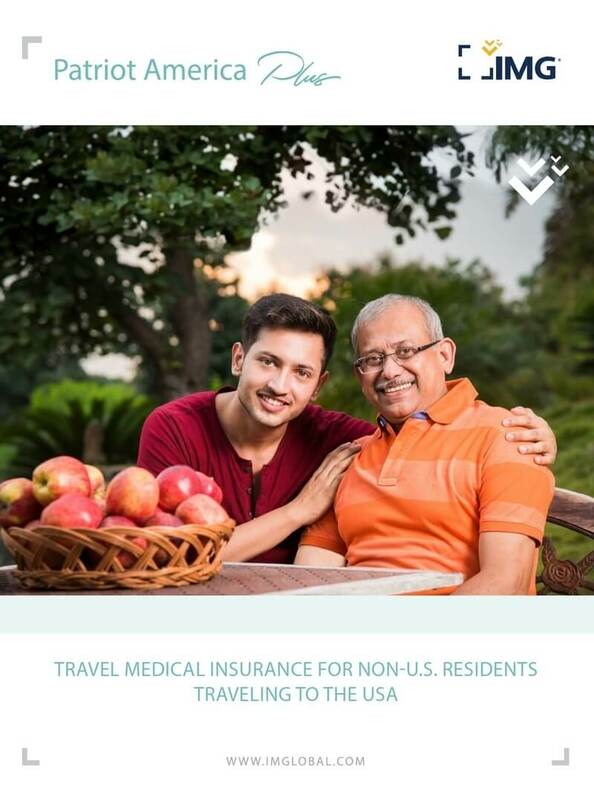 This is travel medical insurance for non-U.S. residents traveling to the United States. For those 65 years of age and older and visiting the U.S., your initial Period of Coverage must begin within 30 days of arrival in the U.S. This requirement will be waived with proof of previous valid international travel insurance. Prior U.S. domestic health care coverage does not meet this eligibility requirement. Please provide the name of your insurance carrier on the Application Form. If you are not in the U.S. at the time of application, please indicate your expected date of arrival on your Application Form. If your plan is purchased for a minimum of 5 days, coverage may be renewed (unless there is a break in coverage) for a total of up to two years. Renewals are available in whole month or daily increments and may be completed online or by using a paper application, however, renewals of less than one month are available only online. For each renewal of less than one month completed online, you will be charged an additional $5 processing fee. Each insured person must only satisfy one deductible and coinsurance within each 12 month coverage period. Please note: Renewal rates may differ from initial rates. Your satisfaction is very important to IMG. If you are not pleased with this product for any reason, you may submit a written request, prior to your effective date, for cancellation and refund of your premium. You may cancel your plan after your effective date if you do not have any claims filed with IMG, however, the following conditions will apply: 1) you will be required to pay a $50 cancellation fee and 2) only full month premiums will be considered for refunds (e.g., if you choose to cancel your coverage two months and two weeks prior to the date your coverage ends, IMG will only consider the two full months for a refund). If you have filed claims, your premium is nonrefundable.